Toothbrushes: Is it Time to Power-up? 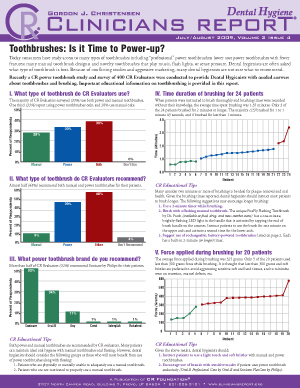 • What type of toothbrush do CR Evaluators use? • What type of toothbrush do CR Evaluators recommend? • What power toothbrush brand do you recommend?